Located in front of the UIC Latino Cultural Center, this habitat was created by the UIC Heritage Garden Interns in 2015 in response to a natural crisis: an 80% drop in the Monarch butterfly population from their historic average over the past 20 years. One major factor in this decline is the destruction of the Monarch butterfly habitat. Caterpillars feed exclusively on milkweed, which has become less available due to pesticides and prairie destruction. Planting a garden can provide food and shelter for pollinators like birds, bats, and of course, butterflies. These beautiful insects need support so they can continue to migrate across the continent each year. The Monarch serves as a symbol of immigration for the Latino community, as it moves freely across North American borders, representing beauty, resilience, and natural survival. In addition to inspiring environmental and climate action, this habitat can help spark conversations about cultural understanding and social justice. click here to download our monarch butterfly fact sheet! Milkweed plants serve as shelter and food for monarch larvae, which are caterpillars with yellow, black, and white bands. Female monarch butterflies lay their eggs underneath the leaves of milkweed plants, where it is safe from predators. Once the eggs hatch, the caterpillars feed solely on milkweed although the plant’s “milk” or white latex is acidic and somewhat poisonous to many animals. Since the monarch caterpillars feed on milkweed, they absorb some of the plant’s acidic and poisonous substances. The substances are stored in their bodies throughout their life. Therefore, the monarchs taste awful to many of their predators. Nectar plants should be grown in warm and sunny areas that should be protected from wind by large shrubs, hedge rows, or fences. 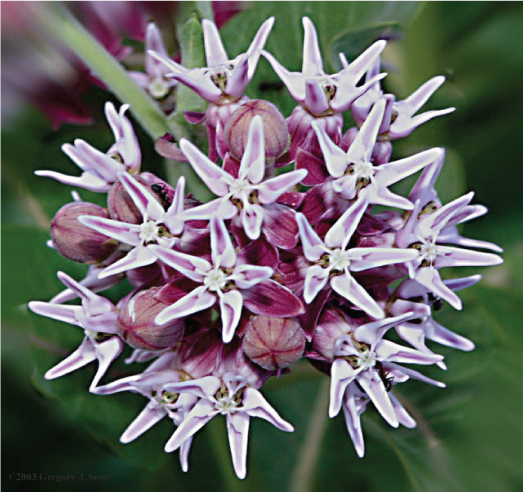 Nectar plants provide nectar for pollinators such as bees and butterflies. Nectar is a kind of sugar water that contains amino acids, proteins, organic acids, and vitamins. It serves as a fuel and is the only source of energy for pollinators. Butterflies need sugar to fuel their search for mates and egg-laying sites. Without nectars, pollinators cannot fly. Historias Monarca (Monarch Stories) collects stories from Mexican communities in Chicago about their connections to Monarch butterflies, including conservation practices adapted from Mexico or learned in Chicago, cultural meanings of the Monarch in relation to homeland and the Midwest, and its symbolism for social and environmental justice. Historias Monarca is a storytelling project of the UIC Latino Cultural Center in partnership with UIC Heritage Garden, Enlace Chicago, and Yollocalli Arts Reach with support from the USDA Forest Service International Programs. Click here to learn more about the historias monarcas project!